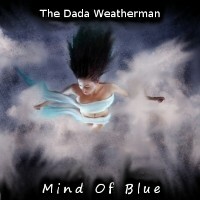 With a knack for catchy, blues inspired beats along with simple and poetic lyrics, The Dada Weatherman are simply fun to listen to. If you are looking for an eclectic mix of tracks done in great taste, then you might find it here. Mind of Blue is the band’s latest album. Their previous releases includes the simple yet enthralling The Green Waltz and heavily acoustic and piano filled Earthquakes and Failed Mutations. After encountering Bright Eyes’ Fever & Mirrors, founder of then, Lost Minded, and the now, The Dada Weatherman, Jonathan, decided to create his own music. He is a self confessed guitar player from the “soul” despite the fact that he is a trained piano player. Mind of Blue is a mixed bag of acoustic, blues, a bit of country sound, and a hint of electronic. It features 10 tracks that individually has its own appeal. Opening with “Whirlwind,” and its blueesy acoustic guitar vibe, it is easy to get hooked right from the start. Another easy favorite would be the Bright Eyes sounding World of Dylith. Its synth sounding vocals and harmonica in between the verses add to the eclectic flavor of this track. As for title track Mind of Blue, its difficult not to imagine having this song playing in some intimate acoustic blues rock club downtown. From guitar hero idol Jimi Hendrix, folk rock legends Neil Young and Bob Dylan to popular bands like Led Zeppelin, The Doors and the Beatles; The Dada Weatherman definitely has the bases covered when it comes to their major influences. All their releases are available for free download under creative commons but if you want to help out the artist, you can go for a higher quality version of the tracks by buying them for a very small price.